We are grateful for the generous responses in providing items on our dana list. Out of concern and care for the resources of our beautiful planet, we ask that you do not order dana items for Aloka Vihara online. The packaging usually turns out to be excessive and wasteful, often using plastic or Styrofoam, which can take thousands of years to decay. In addition there is also the gasoline used for transport. Meal dana is very welcome … please click here for more info. 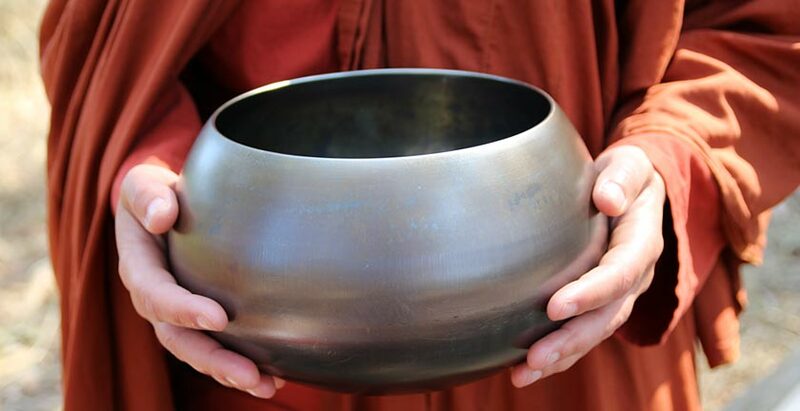 If you cannot come to the vihara or one of our teaching venues in person, donating a Gift Card is a practical and supportive way to make an offering. Please send your Gift Card to: Aloka Vihara Forest Monastery, 2409 Tolowa Trail, Placerville, CA 95667; phone: 530 647 8262. Please end you E-Gift Card to: Aloka Vihara Steward at <info@alokavihara.org>.